After fifty years of intensive breeding, David Austin's English Roses combine the forms and fragrances of old roses with the repeat-flowering of modern roses. They are very easy to grow, healthy and reliable. English Roses may be grown as magnificent, shapely shrubs or trained as short climbers. Our collection contains a rose for almost every garden situation. Email us, come by, or call for our current availability. See our gallery! With great sadness we announce the passing of David Austin. Please visit davidaustinroses.com to learn more about rosarian David Austin’s life and legacy. Our 2019 rose list includes Weeks roses. Click here to send us your garden-related questions. We're here to help! Providing quality personal service and exceptional plant material at reasonable prices, that's us. Fittingly, we operate in ways that are "as green as possible”... it's our heritage. We offer a tremendous selection of plants, pots and containers to accent your yard, porch or patio. Fill your planters with our wide selection of organic amendments specifically formulated to help you get the most from your yard. For the urban farmer we offer a wide variety of herbs and vegetables, both seeds and live plants; also fruit trees, perennials and shrubs to attract beneficial and beautiful creatures like honeybees, butterflies, and hummingbirds. 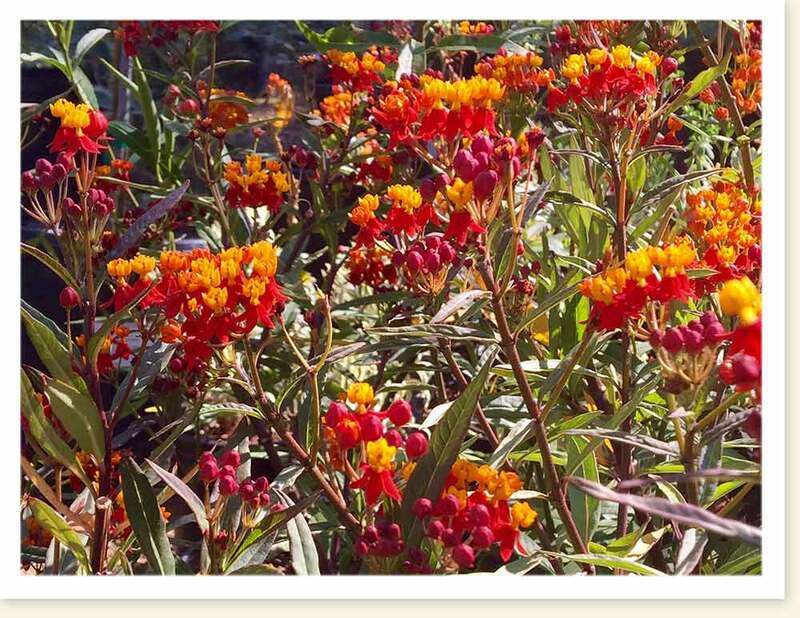 Our selection of native and drought tolerant plants continues to grow, as more California-friendly flora becomes available to us each season! We proudly carry on our tradition of offering bare root roses, bulbs, and gorgeous, locally grown camellias. Bellefontaine’s long-standing relationships with local growers allow us to place special orders for our customers at no extra charge. Stop by for a visit; we receive new plants weekly and you will more than likely learn something from our knowledgeable staff. And finally, don't overlook our gift shop which features unusual gifts for the garden as well as seasonal goodies. Bellefontaine Nursery has books on hand for purchase. Among our hottest items this year have been three varieties of Asclepias. These milkweeds are vital for the propagation of monarch butterflies, whose worldwide numbers are dwindling dramatically. We sell Showy Milkweed (A. Speciosa), Tropical Milkweed (A. Curassavica), and Narrowleaf Milkweed (A. Fascicularis). 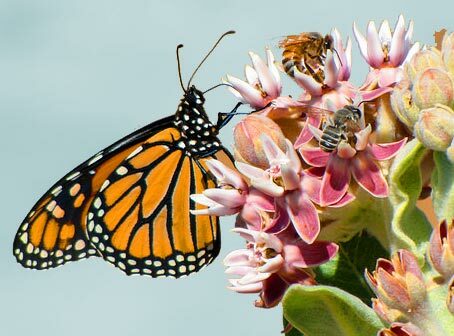 In addition to providing sustenance to monarchs, these plants also attract other butterflies and hummingbirds. Our old friends at Magic Growers and our new friends at Mariposa Gardens supply us with these beauties! Sign up to receive the Bellefontaine Nursery newsletter. Get timely information on sales and upcoming events!